Despite guiding the Los Angeles Dodgers to three consecutive National League West three consecutive season for the first time in franchise history, the club only won one playoff series under Don Mattingly over that timespan, and failed to reach the World Series. It ultimately played a role in Mattingly and the Dodgers mutually agreeing to part ways less than one week after the season concluded, which leaves Los Angeles in need of a new manager for the first time in five seasons. Dodgers president of baseball operations Andrew Friedman revealed little on the direction the club will move in, which lends to plenty of speculation on a replacement. In a bit of a surprise, former Angels outfielder Darin Erstad appears to have entered the fray. Erstad, along with the likes of Dodgers director of player development Gabe Kapler and Chicago Cubs bench coach Dave Martinez don’t have professional managerial experience. Though, Friedman indicated that isn’t necessarily a requirement. Should the Dodgers elect to turn to someone with experience, their third base coach and former Milwaukee Brewers manager Ron Roenicke would figure to receive some consideration from the front office. 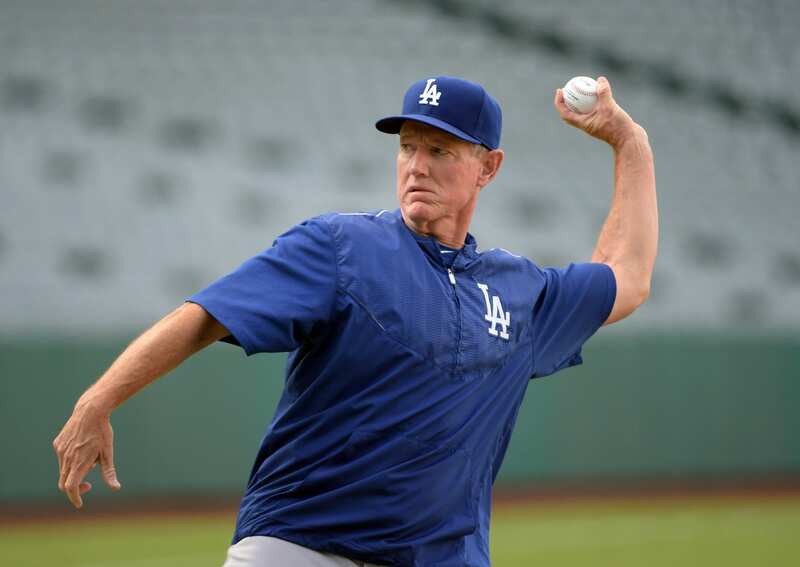 Roenicke, 59, grew up in West Covina, Calif., and attended UCLA where he played outfield for four years before being drafted in the first round by the Dodgers. He made his Major League debut in 1981 and played two seasons with Los Angeles before being released. Roenicke bounced around, playing for six teams in his eight-year career. He then returned to the Dodgers organization as a coach. From 1992-93, Roenicke served on the Dodgers’ Major League staff. He then began his managerial career in 1994 with the rookie-level Great Falls Dodgers, and was named California League Manager of the year as he led the Single-A San Bernardino Spirit to a league title in 1995. Roenicke remained in the Dodgers Minor League system until 1999, when he left to manage the San Francisco Giants’ Triple-A affiliate, Fresno Grizzlies. From there he jumped back into the Majors, spending six years on the Los Angeles Angels of Anaheim’s staff. Roenicke’s tenure with the Angels saw him as third base coach and later a promotion to bench coach. His managerial career in the Majors began with the Brewers in 2010. In a just over four season as the Brewers’ manager, he went 342-331, making the postseason once in 2011, which ended in a loss to the St. Louis Cardinals in the NL Championship Series. In May 2015, Roenicke was fired after a poor 7-18 start to the season. In August 2015 he rejoined the Dodgers staff as their third base coach, with some believing his presence would serve as a distraction amid pressure on Mattingly to guide the club to the World Series. 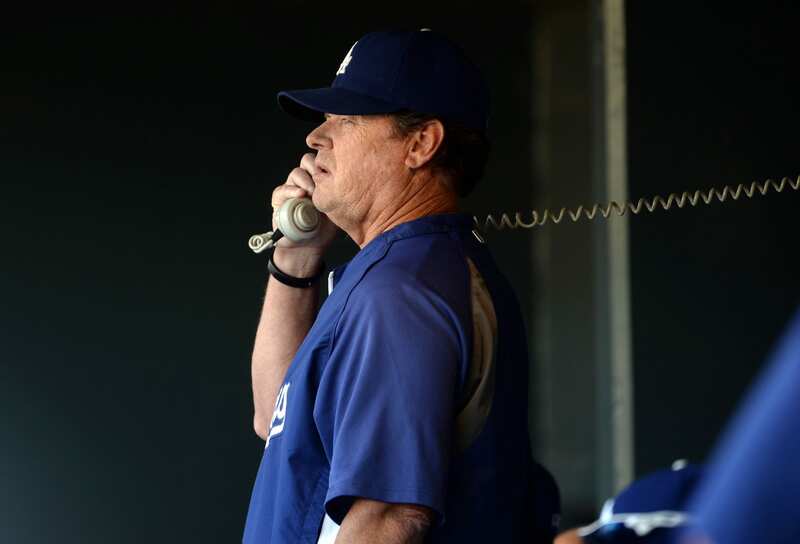 Roenicke’s arrival coincided with the Dodgers improving on the bases. They stole 19 bases during the month of September, and cut down on baserunning mistakes that plagued them for much of the season. While Roenicke is not considered a favorite to fill the Dodger’s managerial vacancy, he had some success with less talent in Milwaukee. There’s certainly a sense of familiarity with the Dodgers organization, the city, and fan base, however that not be enough for Roenicke to earn the job.